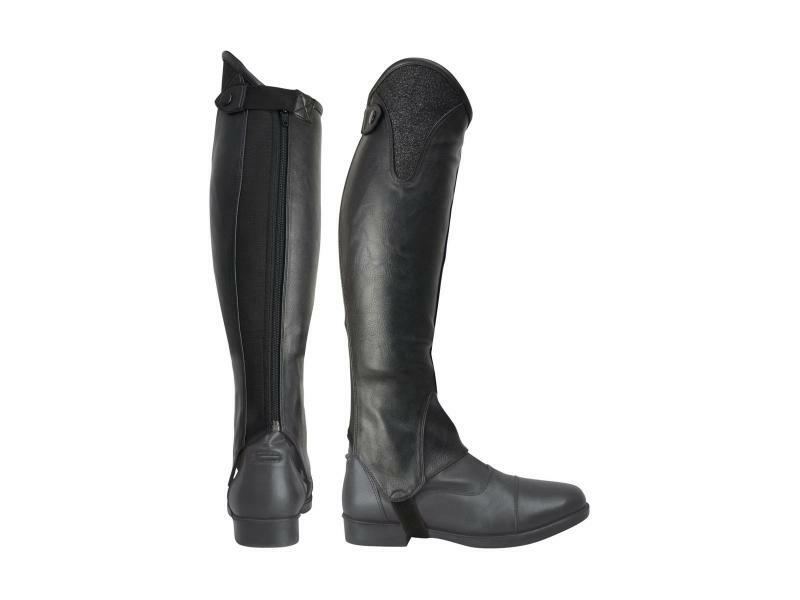 Add sophisticated glam to your equestrian wear with these chaps, exclusive to the Roka range. The synthetic leather chap makes for a smart look, revealing the shimmery Roka panel at the top of the leg. The smart shimmer panel will dazzle in the light, adding a touch of style to your look. This smart design incorporates a front panel to allow the chaps to slide easily over jodhpur boots. The chaps are close fitting with an elasticated calf to comfortably accommodate a wide range of shapes and sizes. 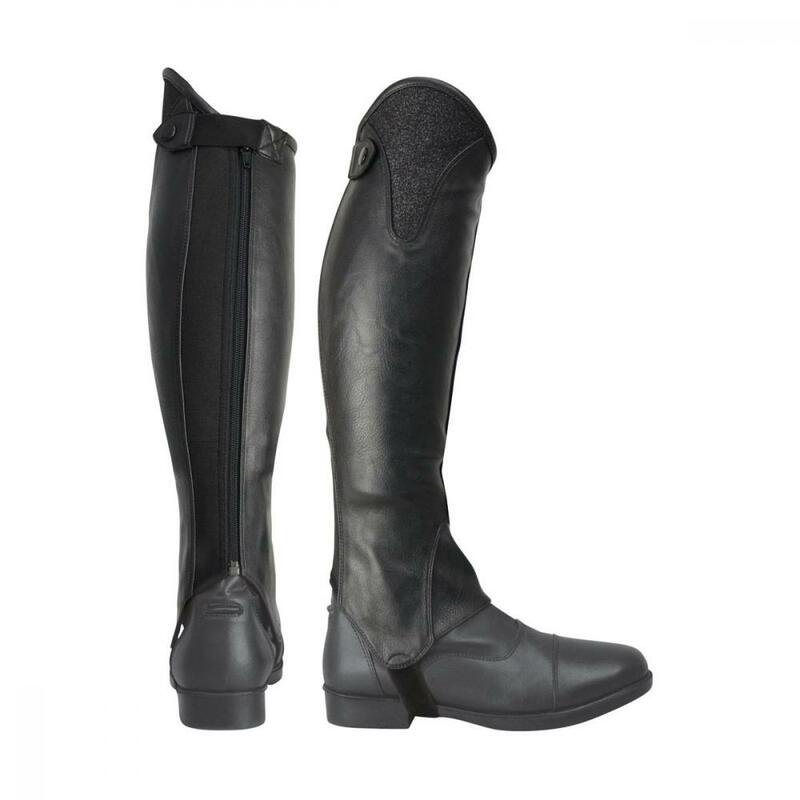 Complete with a YKK zip fastening, a secure press stud at the top and a reinforced elastic foot strap, these chaps truly are the ultimate choice for the fashion conscious equestrian who still wants a leading performance product. Below are some recent questions we've received regarding HyLAND Ladies Roka Chaps, including answers from our team. This does depend on which size you require but they do vary between 29cm - 37cm for the calf width and 39cm - 47cm for the height.